Unformatted artistic documentary films by independent film auteurs have disappeared almost entirely from today’s German television programs. DOKUARTS 11 – Unformatiert/ Beyond Format presents the entire fascinating and vital form spectrum of contemporary documentary film work. Unconventional personal artist portraits, essay films, long-term observations and the documentation of working processes are very popular internationally, appreciated not only by filmmakers but also by the general audience. And yet, only few of them make their way beyond the fringes of the big film festivals. DOKUARTS 11 – Unformatiert/ Beyond Format, through its program, showcases the memory of the arts and their significance for our present times. The international exhibition of cinematic work presents 24 new films about art from 16 different countries. 12 of the films are contributed by female filmmakers. All films are shown in Berlin for the first time, most of them as German premieres. Nearly all filmmakers will be present to introduce their films. The 2018 festival edition presents films with and about: Hal Ashby, Luis Barragán, Ingmar Bergman, Milford Graves, Harry Gruyaert, Michel Houellebecq, Alfredo Jaar, Stanley Kubrick, Yayoi Kusama, Agnes Martin, Rocío Molina, Haruki Murakami, Iggy Pop, Raghu Rai, Raoul Ruiz, Daniel Schwartz, Garry Winogrand, Joel-Peter Witkin, Jerome Witkin. In cooperation with the European Month of Photography Berlin DOKUARTS will feature 6 films on the art of photography. European and German premieres over the course of a single weekend, October 12-14, and the presence of photographers Harry Gruyaert and Daniel Schwartz are amongst the highlights of the festival. This year’s DOKUARTS-Symposium takes place on October 5 in cooperation with the European Documentary Network and will discuss the historical, present and continuing formatization of media and culture as well as the interrelations between conditions of production, aesthetics and politics in the context of films on art and future prospects of the unformatted documentary film. DOKUARTS was founded in 2006 at the Berlin Academy of Arts upon the initiative of festival director Andreas Lewin. It took place at EYE Film Institute of Amsterdam, the Netherlands from 2008 to 2010. José Carlos Avellar invited the festival to the Instituto Moreira Salles in Rio de Janeiro, Brazil, where it has been a regular guest with a part of its film selection since 2012. In the same year, DOKUARTS returned to Berlin and presented the festival’s first edition at its current venue, the Zeughauskino of the Deutsches Historisches Museum. 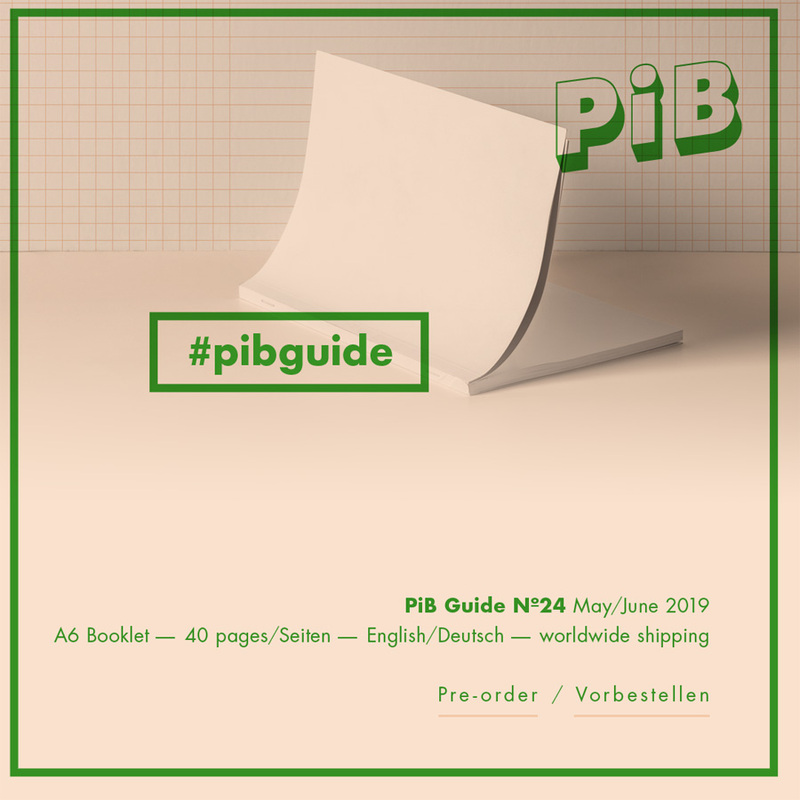 DOKUARTS 11 is part of EMOP Berlin — EUROPEAN MONTH OF PHOTOGRAPHY 2018. Over the last couple of years, Khalik Allah has been recognized internationally as photographer. With poignant reportages about African-Americans who live on the fringes of society, he reached beyond appearances to show the hidden “interior” of his protagonists. In this way, his pictures lend dignity to the marginalized and the hopeless without sugar-coating their brutal realities. The same empathy characterizes Allah’s films, which could be seen as kind of “street photography in motion”. His portrait of New York night dwellers, “Field Niggas”, was widely celebrated. 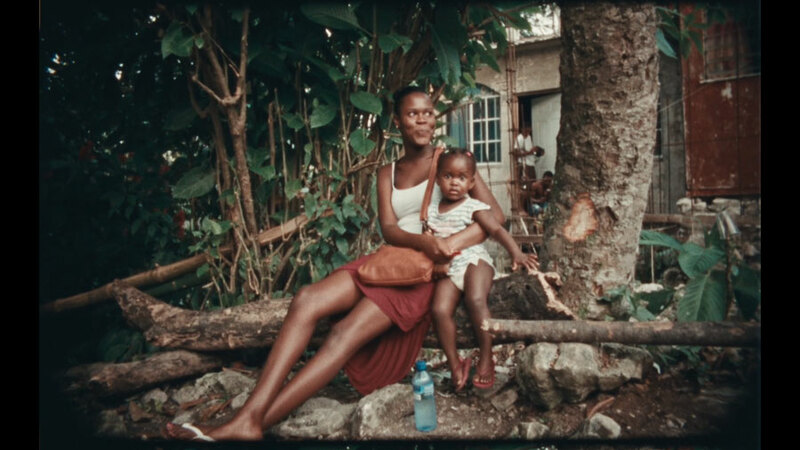 In his new film, the photographer and filmmaker turns to his Jamaican roots. “Black Mother” is an audio-visual poem full of hard contrasts, glances, gestures, and the sound of the ubiquitous “patois”, but also elevated by unexpected moments of beauty. In it, Allah pays tribute to the daily struggle for survival on the tropic island, to the prostitutes, the homeless, the disfigured, the all-pervasive poverty, as well as to the exuberant vitality and deep spirituality. The film avoids the typical cliché traps of so many social reportages about marginalization and poverty. In this regard, the polyphone soundtrack which composes a rhythmic collage of great musicality, is particularly important: the consequent separation of sound and image constitutes a distance which creates room for a clear view unfettered by cliché. By adapting for his own images, the faded and colour tinged look of the used archive material with iris and visible splice, Khalik Allah achieves historical depth and, at the same time, an urgency as if he wished to present his protagonists with their long-denied history. With this quote by Daniel Schwartz, Vadim Jendreyko starts his film about the Swiss photographer whom he accompanied during the work on his photobook “While the Fires Burn” (2017). 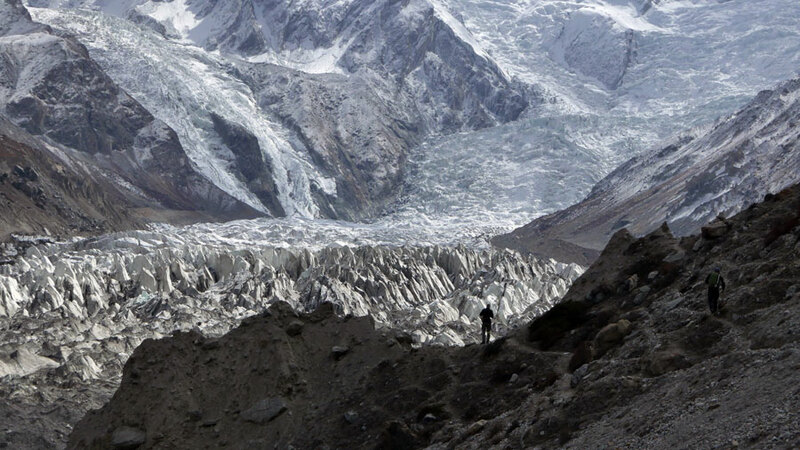 In this project, Schwartz documents the dramatic glacier melt in the Peruvian Cordillera Blanca, the Karakoram in Pakistan, the Rwenzori Range in Uganda and in the Swiss Alps. As early as the 1980s, the photographer has concerned himself with the consequences of climate change. This project, however, has also a biographical element: the Swiss Alps shaped the artist’s childhood memory and play a substantial role in his relationship to his father. Jendreyko uses this entanglement of biography and work to tell Daniel Schwartz’ story. By incorporating archive material and interviews into his film, he achieves a sensitive portrait that focusses a lot of attention on the interconnections between societal concern, artistic decisions, and the ascetic life style of the photo artist. The filmmaker shows, how Schwartz’ meticulous research and editing work, together with the analogue photo technique, lead to his very nuanced and historically charged images that are full of unexpected and astounding detail. John Berger once wrote: “Photographs are records of things seen”. Jendreyko’s film portrait of Daniel Schwartz illustrates – as its beautiful title suggests – that these “things” are often found “beyond the obvious”. “I am attracted by things and things attract me” – says Harry Gruyaert, referring to the continuing magic of the hunt for those exhilarating moments in which reality visually reveals itself. Since 1982, Gruyaert, a native Belgian, is member of the legendary photo agency Magnum; he sees himself as “Street Photographer”. Though this term is disliked by many of his colleagues, Gruyaert, in his own particular way, fills it up with life – and, above all, with colour. With his subtle montage of image sequences, filmmaker Gerrit Messiaen enables the audience to physically understand why Gruyaert is regarded as one of the first photographers who “think in colour”. But though it is true that he found new ways of using colour in documentary photography, Messiaen does not classify by labelling him as “Master of Colour”. His candid and unformatted narrative is in no need of an interpretive super-structure, instead, it opens up many different pathways to understand the life and work of this wanderer between East and West. Messiaen leaves lots of room to breathe for Gruyaert’s pictures. The carefully chosen music supports the dramaturgical structure of his film and offers a subtle commentary to the journeys of a tireless flaneur who wanders across times, cultures and continents. 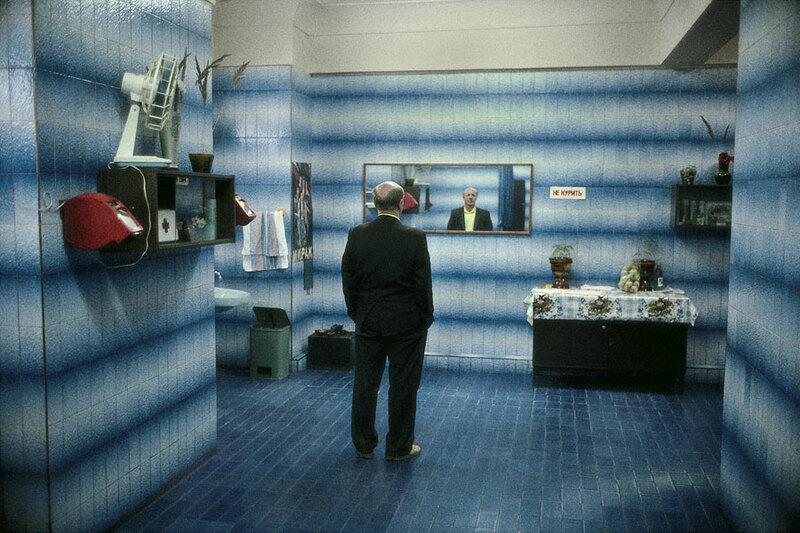 Messiaen’s film allows us to closely observe Gruyaert while working; this is one of its irresistible attractions. At times, one cannot fail to wonder: What exactly is he photographing? And then, in the wink of an eye, seemingly insignificant motives are transformed into strikingly beautiful compositions. How to find the essence of a moment with the camera? 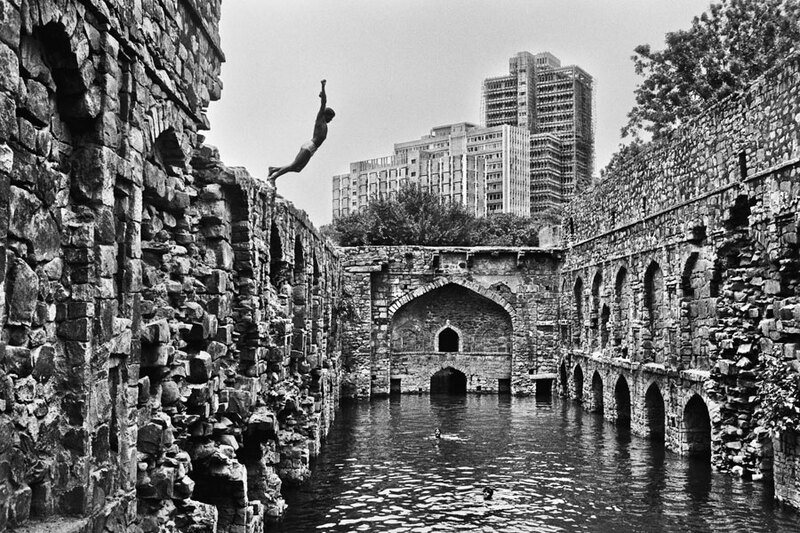 Magnum-Photographer Raghu Rai who, as a young man, was mentored by Henri Cartier-Bresson seems to know the formula. For many decades, his intensive photographs have shaped the collective memory of India and far beyond. Rai’s images help us to profoundly understand that crises like the Bhopal disaster in 1984 or the excruciating ongoing conflict in Kashmir are by no means temporary news but events which dramatically and permanently affect the lives of the victims. While working, the photographer appears distant, solely interested in the right camera angle, no matter whether his subject is a person hit by crisis, the greatly admired Mother Teresa, or a flock of seagulls. What may seem like aloof measuring and calculating is, in fact, an almost uncanny attentiveness and mindfulness with which he looks at the world, and to which his pictures owe their enduring integrity. Young filmmaker Avani Rai has captured all this. With a sharp aesthetic sense and a lot of gentle irony, she has assembled film and photo material to create this very personal portrait of – and a continuing conversation with – her father. Her film is supported and accompanied by a formidable sound design. “You must point the lens to where the most birds are!” Raghu Rai’s eyes never rest and frequently he tries to instruct his daughter during the film shoot. Avani Rai presses the shutter button; a single bird flies through her picture. Both father and daughter find the essence of the moment, but each in their own way. “Nowadays, people wish they could wear a pair of glasses that photoshop the world; they hate themselves, they control all their pictures. Garry’s pictures, instead, celebrate the un-staged, the un-perfected.” With such words, Mad Men creator Matthew Weiner pays tribute to the protagonist of Freyer’s artist’s portrait. From the late fifties to the early eighties, photo-poet Garry Winogrand drew an encyclopaedic portrait of America with all its pathos and conflicts. The snapshot-aesthetics of his “street photography”, though initially lampooned, has since turned into a universal visual language in the field of documentary. In order to come closer to the early deceased photographer, Freyer uses – apart from photos, private Super 8 material, and a fine contingent of companions and art historians – unpublished audio recordings of lectures. 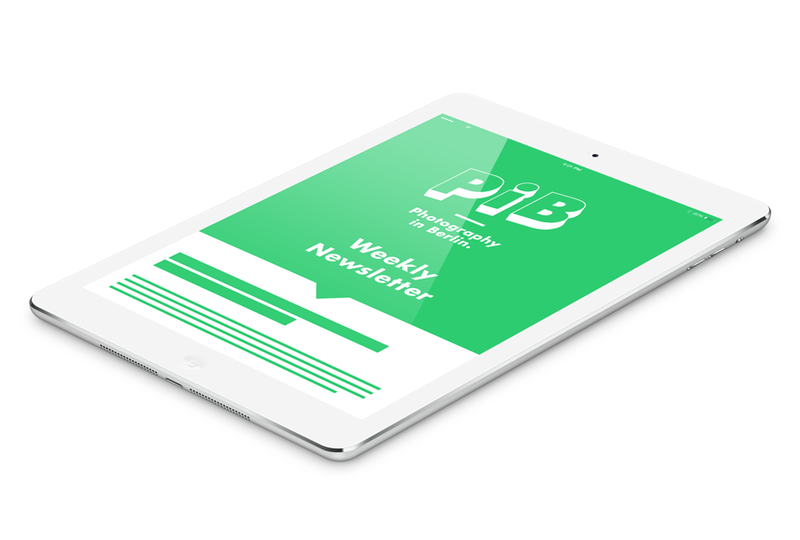 In particular the latter, show the obsessive flaneur as an instinctive and deep thinker. Yet, in his proletarian accent his rough childhood on the streets of the Bronx always remains present. From the 1970s on, Winogrand’s rise and fall was clouded by accusations of sexism. Freyer illuminates the photographer’s dark side from a wider feminist perspective; in his balancing act between macho artist and family man she spots the unresolved contradictions of American masculinity. 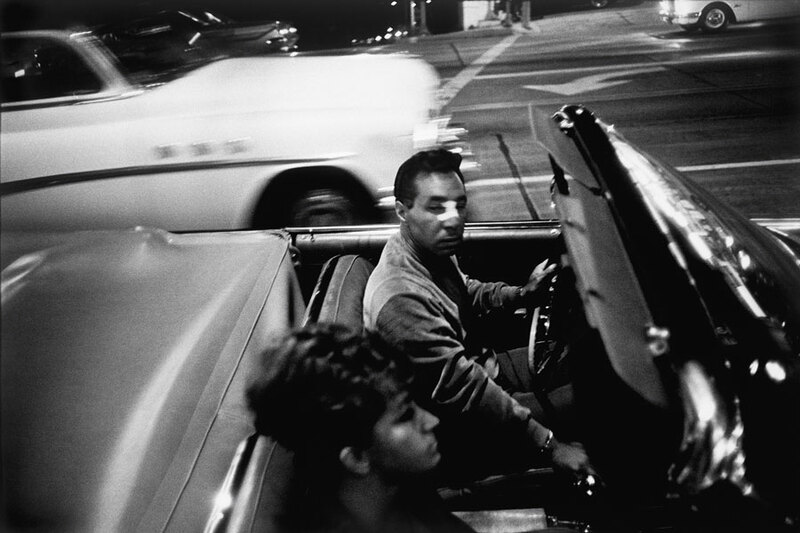 The later work of the manically photographing Winogrand consists of 10.000 (!) undeveloped film rolls. Thanks to Feyer’s multi-layered film, this – quite literally – unformatted heritage is made accessible for the first time. The world is full of things we can’t see, even if they occur right in front of our eyes. 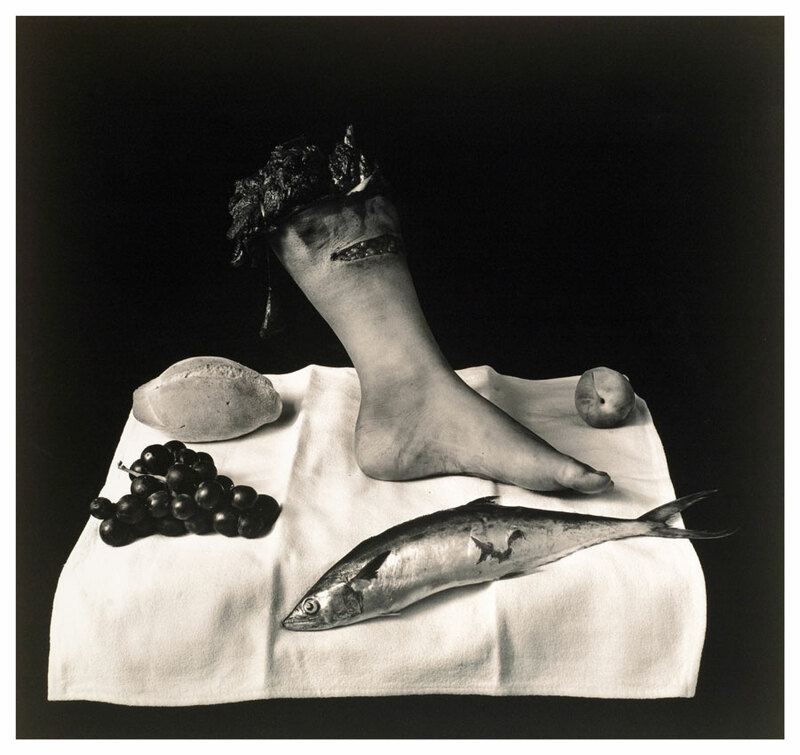 With his surreal, often grotesque, sometimes unsettling, staged photographs, Joel-Peter Witkin creates a visual language for them. The world is also full of things we deliberately choose not to see. The socio-politically engaged figurative painter Jerome Witkin urges us with historically charged pictures to look at them. Joel and Jerome are identical twins but they could not be any more different; at least this is the view taken by the two artists who, for the larger part of their lives, went separate ways. Filmmaker Trisha Ziff, in her fascinating portrait, interviews close relatives and co-workers of the dissimilar brothers but the major portion of the film’s time is reserved for the Witkins’ own storytelling. While Joel and Jerome talk about their differences, the camera observes the two faces in close-up and in great detail. As one listens to Joel and Jerome pointing at their dissimilarities, one instinctively tries to seek out their similarities. Ziff subtly uses the juxtaposition of the frequently opposing visual and verbal “stories”. In doing so, she creates not only an intimate artists portrait but also a brilliant filmic reflection on seeing and perception: In search of likeness one repeatedly stumbles upon differences, in face of the differences one often is surprised by likeness. And yet, Ziff’s film supports the lasting impression that the work of both artists is driven by an equally deep-felt humanism. So, at the end of the day, the remarkable brothers may well be similar – but they are still nowhere near identical.